When it comes to crowdfunding and crowdsourced publishing there are many variables. Not the least of which is what happens if you support a book that never reaches its goal? What happens if an author you support isn’t quite as social media savvy as others and, like old lovers, you lose track of them online? Or if that author you supported migrates to a traditional publisher or format? Inkshares — a site which crowdsources and crowdfunds books — thinks it has an answer. 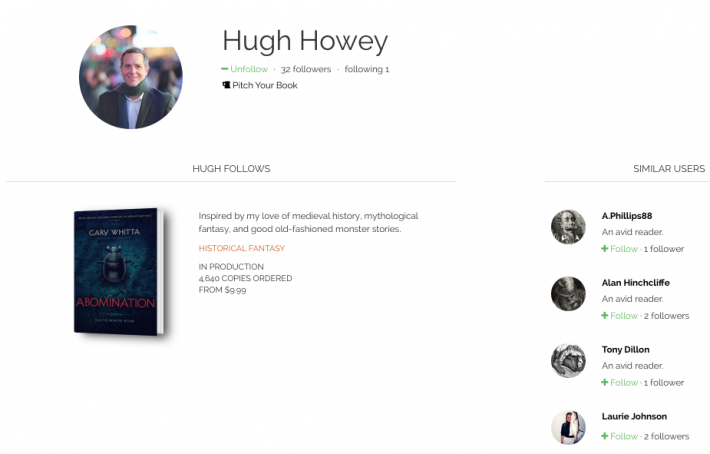 The two year-old startup allows supporters to “follow” a book project and/or author. In turn, an author can use this data to keep potential supporters aware of future developments.